Ajman, UAE: The Ajman Tourism Development Department (ATDD) delegation returned from a successful four-day trip to Germany with new information and strategies to best attract German travellers into the Emirate. The delegation met with 10 of the top tour operators in Germany who all expressed positive interests and encouraged the stakeholders to increase the activities and attractions that will cater to the German market. 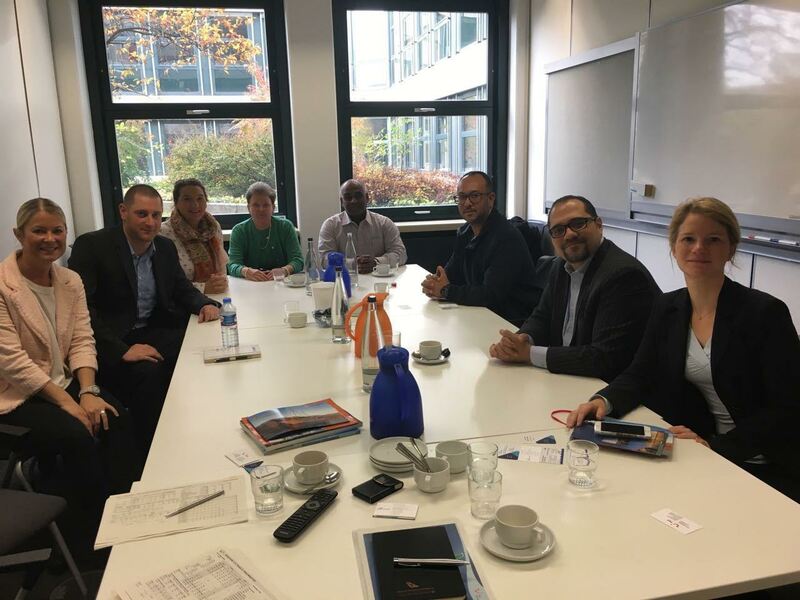 The four-day Germany tour took the delegation to the cities of Munich, Duisburg, Hanover, Frankfurt, Oberursel and Baden Baden. They met with Fairway1, TravelZoo, Design Reisen, FTI Group, Schauinsland, TUI Group, DER Touristik, Thomas Cook, Binoli and L’TUR. The ATDD delegation was headed by HE Faisal Al Nuaimi, General Manager of ATDD, along with Yamina Aoucher, Director of Tourism Development & Marketing Department and Shamsa Mubarak, Promotion Executive. They are joined by Khaled Al Idrissi from Fairmont Ajman, Cluster Director of Sales & Marketing; Ahmed Kamal, Director of Sales, Ajman Saray and Abdulfattah Al Shehhi, Chairman of Musandam Sea Adventure Travel & Tourism. The meeting focused on different marketing partnership to promote Ajman as a premier leisure tourism destination. “Overall, we had very productive meetings which allowed us to experience first-hand the vast opportunities for collaboration with German tour operators and travel agencies that will contribute to the growth of Ajman’s tourism industry. We are pleased with the result of the trip and will apply the different strategies and recommendations that we gathered from our partners,” noted Al Nuaimi.